Hosted by beni on 2015-01-22 is flagged as Explicit and is released under a CC-BY-SA license. Tags: Linux Voice, oggcamp, interview. Corenominal and Beni talking to the guys of the newly founded Linux Voice magazine. 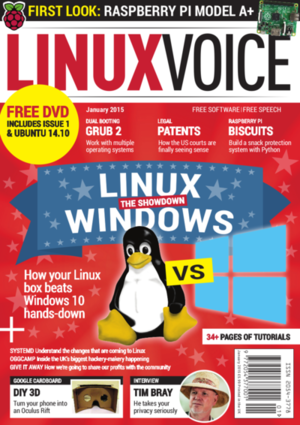 It's a British Linux publication that's less than a year old. We talked to them about why you would found a magazine these days, why their magazine is still relevant in the digital age and why kinds won't beat them at mario cart.